Thank you for joining us at SxSW Edu 2018! NCLD empowers the 1 in 5 of us with learning and attention issues to succeed in school, at work and in life. Below are links to some material that might be helpful. Understood.org: Understood is NCLD’s flagship program, created in collaboration with 14 other non-profit partners. Understood.org is a free online resource and community supporting parents of the 1 in 5 kids with learning and attention issues. Understood empowers millions of parents through personalized resources, daily access to experts, interactive tools and a supportive online and on-the-ground community. 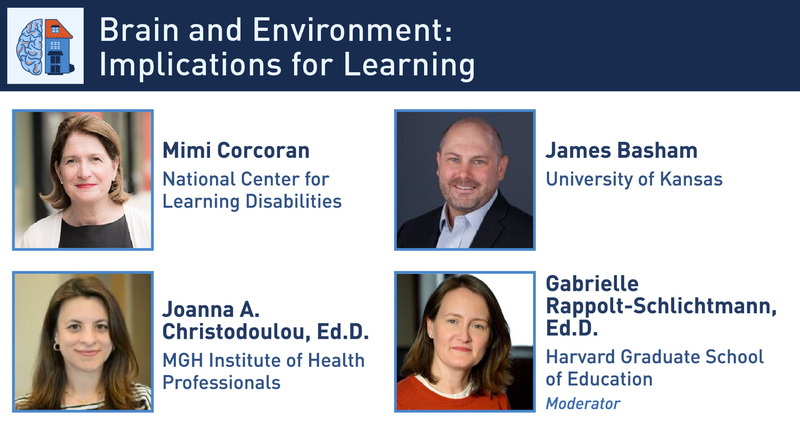 The State of Learning Disabilities: Understanding the 1 in 5: The 4th edition of the field’s most comprehensive report about the 1 in 5 children living with learning and attention issues such as dyslexia and ADHD. The State of LD includes personal stories, more than 50 interactive displays, printable resources and spotlights on innovative approaches to help students living with learning disabilities. Personalized Learning and Students with Disabilities: We’re proud to have worked with the Bill and Melinda Gates Foundation to create this resource hub, which contains research, case studies and recommendations for implementation or personalized learning systems–all with an eye on the needs and success of students with disabilities. Agents of Their Own Success: Self-Advocacy Skills and Self-Determination for Students with Disabilities in the Era of Personalized Learning: Self-Advocacy skills and Self-Determination are important for all students, but they are especially important for students with disabilities. NCLD convened 40 experts to produce policy and practice recommendations to ensure these skills are taught and prioritized in the classroom. 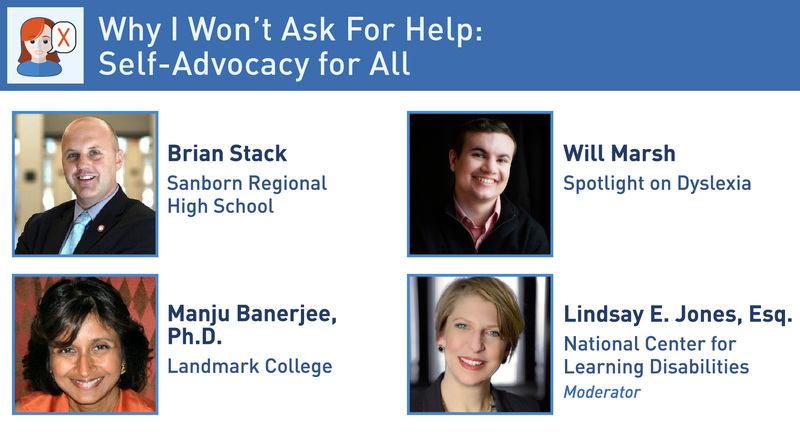 NCLD’s Policy Resources and Updates: Find updates on legislation that impacts people with learning and attention issues, and what our Public Policy and Advocacy team is doing on the ground in Washington, D.C. to protect the rights of the 1 in 5. Below are links to resources suggested by panelists who participated in our panels. Listen the audio of the full panel here! UDL-IRN 2018 Summit:For the last five years, the UDL-IRN International Summit has been a place where to celebrate learning through experiences that engage participants in a variety of ways. The goal is to create a conference experience that allows people to feel comfortable collaborating with each other, using new learning designs that meet the variability of ALL adult learners. CAST UDL Guidelines: The UDL Guidelines are a tool used in the implementation of Universal Design for Learning, a framework to improve and optimize teaching and learning for all people based on scientific insights into how humans learn. International Dyslexia Association: The International Dyslexia Association’s (IDA) mission is to create a future for all individuals who struggle with dyslexia and other related reading differences so that they may have richer, more robust lives and access to the tools and resources they need. Self-Advocacy Poster Download: This poster from Landmark College features the first student-friendly educational infographic offered to the public from the thought leaders at Landmark College’s Institute for Research and Training. Next Generation Learning Challenges (NGLC) MyWays: NGLC’s MyWays™ project helps educators fully prepare the students of today for a challenging, unpredictable tomorrow. New Hampshire Department of Education Work Study Practices Resources: New research highlights the importance of developing and supporting students’ Work-Study Practices. Essential Skills and Dispositions: Developmental Frameworks for Collaboration, Communication, Creativity, and Self-Direction: This book, written by Sarah Lench, includes a set of developmental frameworks created to facilitate discussion within communities of practice and to enhance a shared understanding of the dynamic nature of four essential skills—collaboration, communication, creativity, and self–direction in learning. Summit School’s Assessing “Habits of Success”: Habits of Success represent a crucial quadrant of college readiness at Summit Public Schools. Make sure to follow us on Facebook and Twitter to get the latest updates. To learn more about how you can get involved with the work we’re doing on be half of the 1 in 5, sign up to receive email updates. To make a gift in support of our work, click here.